Picture courtesy of Patrick A. Riley. 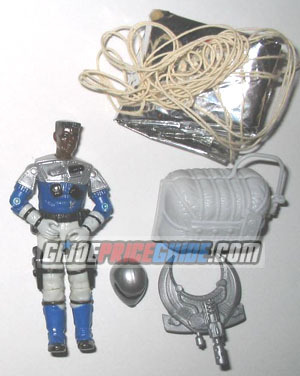 NOTES: Like five out of the six Sky Patrol figures from 1990, this is the only version of Staticline ever created. The silver parachute is often missing.